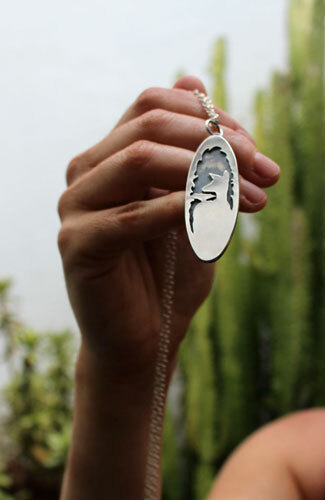 This sterling silver necklace features a bird and a doe. They are so different from one another but in spite of their differences, they can learn from each other. They do not have the same qualities, they do not walk or travel the same way but their inner richness will mutually help them. It is hard to see people you love go away. You’d wish they would stay forever by your side, but they have to make their own life, their own experiences. You won’t be there to protect them but you can pray they will be safe, and be wise enough to take the right decisions. You must help them to grow and to become responsible. 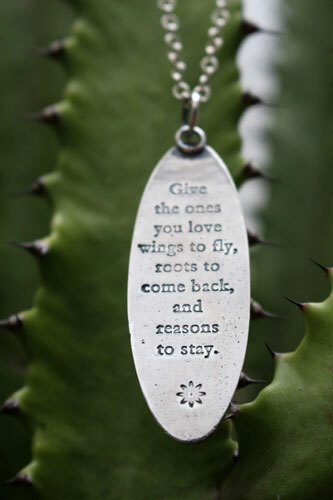 Eventually, they will come back, wiser, stronger and thankful you let them be who they are. It was handcrafted with love and care. 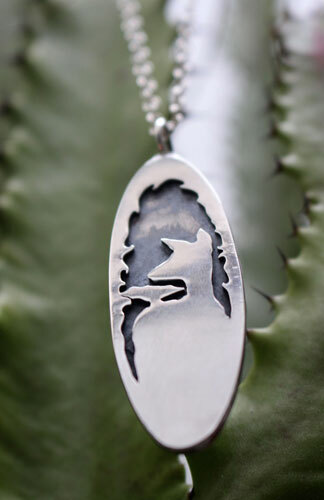 Everything was handmade from melting silver, to making sheets, sketching, cutting... to the tiny details. 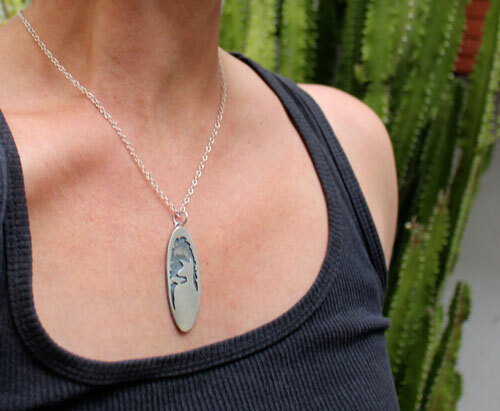 The sterling silver pendant is about 5 cm long. The chain is 46 cm long. 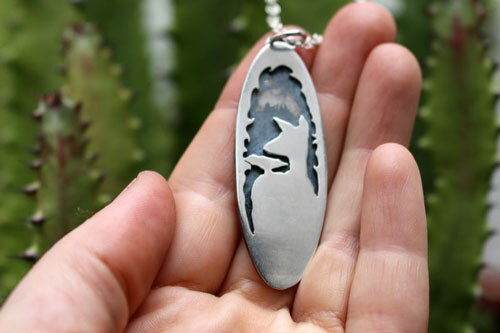 I hope you will find hope and inspiration each time you will look at this pendant.